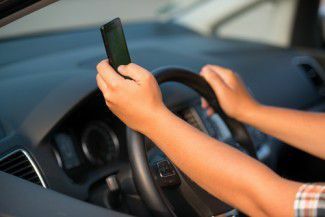 CAN THE SENDER OF A TEXT BE LIABLE, IF THE RECEIVER IS DRIVING? It's common knowledge that texting and driving is a bad idea and, in a number of jurisdictions, illegal. New Jersey is one of them. But what about sending a text to someone you know is behind the wheel? In addition to moral responsibility, could there be any civil liability for doing so? That is the question currently being considered by a New Jersey appeals court, after a trial judge in Morristown dismissed a claim brought by two injured motorcyclists against a teenager who texted a male friend she had been dating as he was driving in 2009. Reportedly distracted by a message from Shannon Colonna, then 17, the driver, Kyle Best, crashed his pickup into David and Linda Kubert, who were on their motorcycle in Mine Hill, the Morristown Daily Record reports. Each of the Kuberts lost a leg in the crash, and they sued both Best and Colonna seeking damages. A state superior court judge nixed their aiding and abetting claim against Colonna last year, and an appeal followed. Best, meanwhile, settled the civil case against him by tendering the $500,000 limit of his auto insurance. In oral arguments on Monday, attorney Stephen "Skippy" Weinstein, who represents the Kuberts, said the court should impose a duty of care on those who know the recipient is both behind the wheel and likely to be reading texts while driving. Best and Colonna exchanged 62 texts during a several-hour period before the crash, the newspaper says. "My client doesn’t know he’s driving, she doesn’t know his schedule. She cannot control when Kyle Best reads the message," McGlone told the three-judge Appellate Division panel. "Other than not to send it to begin with if she knows he’s driving," Judge Michael A. Guadagno responded to McGlone. "The question for us is, how do we write up that duty so it is applied the right way?" said Judge Victor Ashrafi. In response to an argument by McGlone that Best had been distracted by the text message he just sent to Colonna, not by her message to him, Ashrafi said: "But for her sending the text to him, he wouldn’t be looking down." Exactly what happened when isn't known, pointed out the third member of the panel, Judge Marianne Espinosa, because the texts weren't preserved.